Hi and welcome from Hamish the original founder of Hog Roast Scotland now Scotland’s finest hog roast catering company for the 3rd year running. This section of the website is designed to give you, the customer, a taste of where we came from and how the company has grown over the past eight years. With so many different catering companies available and now that professional websites can be created in a matter of minutes it is very difficult to know which company to trust. 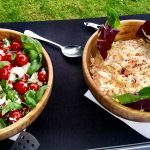 On any event whether it is a small barbecue in your back garden or your wedding day the food is such a central component to the success of the day that you need to be certain that the catering is in good hands. Let me tell you now there is simply no substitute for experience, myself and my two great friends John and Isla have worked on countless events and you can be confident that when you book with Hog Roast Scotland you’re in safe hands. Hog roast Scotland seeds were sown over 15 years ago, I was working as I still do on the family farm and was pondering what to do for our next party. Having a newly converted barn we thought it only right to have a little get-together for all our friends and family, however we wanted something a little different for the food. Myself, being a live stock pig and dairy farmer thought it would be a fantastic idea to have someone come in and roast one of my pigs for all the guests to eat. However these were pre internet days and try as I might I couldn’t find anyone who would be able to do the job. However I was now set on the idea of a hog roast, having a little extra cash spare from the conversion of the barn I decided to have a hog roast machine made from a friend of mine who worked with steel and to do the catering myself. The party was a great success and I really enjoyed the experience and thought that this could be turned into a new business venture. After a few months of tinkering with my machine and putting it through some health and safety tests I began to hog roast at other friends parties and would attend the annual country show to sell a few pork rolls. For many years the hog roasting was just a nice sideline, a hobby to keep me busy when I wasn’t working on the farm. For the larger country shows I would bring my pals along to give me a hand at it was really them that saw the true potential in the business and push me to take hog roasting further. That summer Hog roast Scotland was born with the help and support of my family it wasn’t before long that we had the makings of our own successfully business, and the rest as they say is history. So why don’t you become a part of Hog Roast Scotland’s history by giving us a call today. 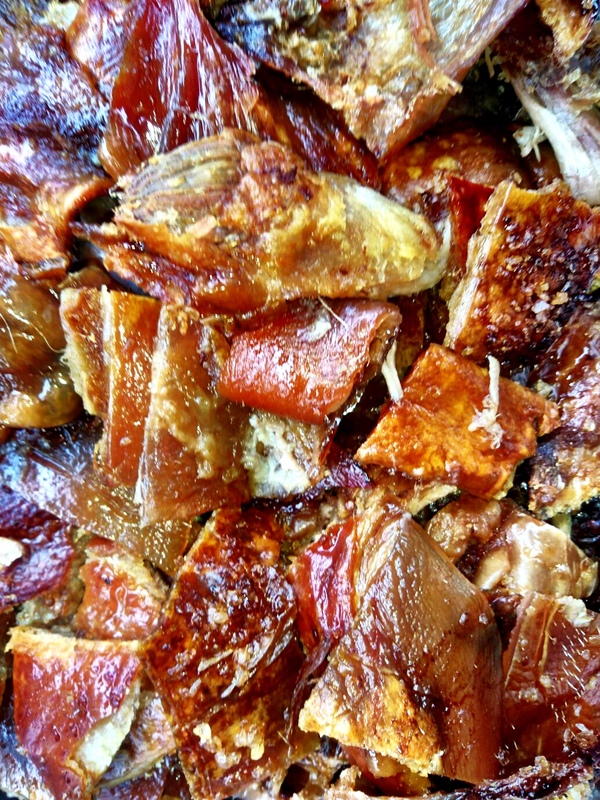 The first and most popular of my companies services is our hog roast catering, and not just any Dunblane hog roast catering, our hog roast catering is the best in Scotland – No two ways about it. There isn’t a better Stirling hog roast company in Scotland than Hamishs, not only does our food taste amazing but being a proud Scotsman I ensure that where possible all the produce we use is sourced from Scottish farmers, using beef, pig, chickens and more that come from the best, most fertile and beautiful Scottish lands. Whether it’s a pig from Dumfries, a chicken from Stirling or beef from the Highlands, having farm roots myself I always make sure we’re using the best produce and getting it locally from local Scottish farmers. You’ll never find Hog Roast Scotland turning to factory farms, because they don’t come close to real Scottish produce reared by real Scottish farmers. You can’t beat a good Dunblane hog roast for taste, entertainment or price. When I first experienced hog roasting for myself I knew it was something I needed to get back into the public’s eye. Fortunately Scotland is a no-nonsense country and that applies to our food too. The mouth watering textures, flavours and smells that come with a freshly farmed highland pig that’s cooked hours on end over a spit roast is as good as any food, whether using a wee pig or a 90kg monster, the great Scottish farmed quality is always the same. 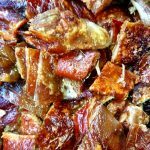 My hog roast company is one of the few professional hog roast caterers in Scotland and after running Scotland’s favourite hog roast company I can say that when you cater with us you’re getting the very best. There’s no other company that comes close to mine in any criteria, nobody has the enthusiastic and passionate team that I have, none have the great custom built Scottish machines we have, none use good ethically sourced produce like we do, let alone local Scottish produce and none have the extensive first-hand knowledge and experience that I’ve had. 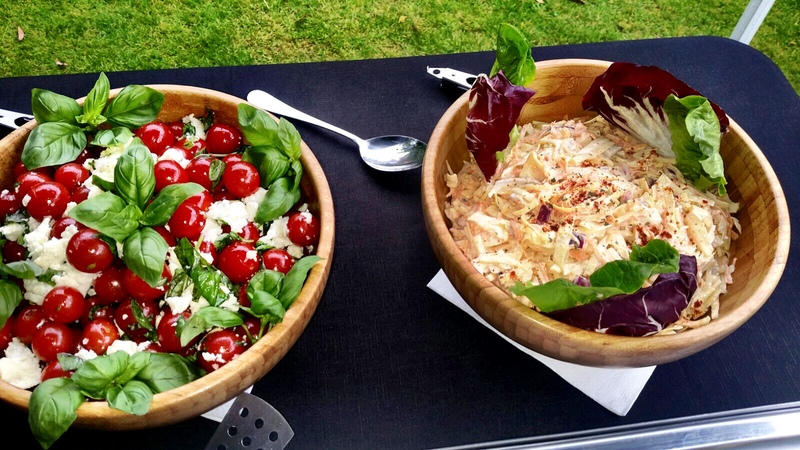 We can cater for all occasions and it doesn’t matter to use whether your event is big or small, formal or informal. The custom built machines that we use also mean that we can cater for indoor events. Long gone are the days of having to depend on a charcoal hog roast, we have many different machine models, most of which are powered by gas, so as long as the room or venue in question is well ventilated, we can cater inside as well as outside. I knew that if Hog Roast Scotland was to be as successful as it is that I would have to approach what we do a little differently than other hog roasters. Not only using local Scottish produce, but also by offering a more versatile service. If you glance over our menus you’ll quickly realise that my company does far more than what you would expect from hog roasters – We do fantastic spit roasts and they’re always a focal point of our catering service, but we also offer a whole host of great, non spit roasted food to compliment our famous Scottish hog roasts. While others can only hog roast, we can spit roast any animal, we can also barbecue, boil, fry, steam, sauté etc. We can even cook pizza, and not only can we cook it, but we very often do, you’ll notice if you take a look at some of our menus that there is a pizza option. There’s very little that we can’t do, mainly because I recognised off the bat that just being able to offer spit roasted meat wasn’t enough. But I was so committed to taking spit roast catering one step further that I sat down with a few friends of mine – some hog roasters, some engineers – and began working on some designs for an improved, new breed of spit roast machines, spit roast machines that could also utilise the other cooking methods mentioned above. It took a long time and a bank loan or two but we got there in the end. Now I can boast not only having some of the best spit roast machines there are, but also having a new source of income. When I set about making the best spit roast machines in Scotland it was for no other reason than to improve our catering service, I hadn’t considered the machines would be as well received as they have been. Now a sizeable majority of hog roasters in Bonnie Scotland and even in countries as for as Asia get their machines directly from me. If that isn’t a ringing endorsement of Hog Roast Scotland and my – if I do say so myself – hog roasting expertise, then I don’t know what is! If the fifteen plus catering menus we have aren’t enough there are still plenty of services to choose from. I mentioned above that most caterers come to me directly to keep up to date on the best machines in Scotland, but I don’t just provide machines for caterers. You can buy one of my spit roast machines for your back garden if you like, so long as the customer has money we’re happy to sell. I’ll set you up with an instructional CD and on delivery you’ll be shown my one of my staff members how to use your machine. Can even share with you the farmers and butchers we use so that you get the best out of the machine. We hire out machines too. Not everybody is a millionaire after all, and we are in Scotland, how many chances are you really going to get to spit roast with your mates under the burning sun! Hiring a machine from me for a day, week or even a summer’s month is much easier on the wallet. I hope you enjoy the website, if hog roasting sounds half as good to you as I know it is then I know we’ll be hearing from you soon.